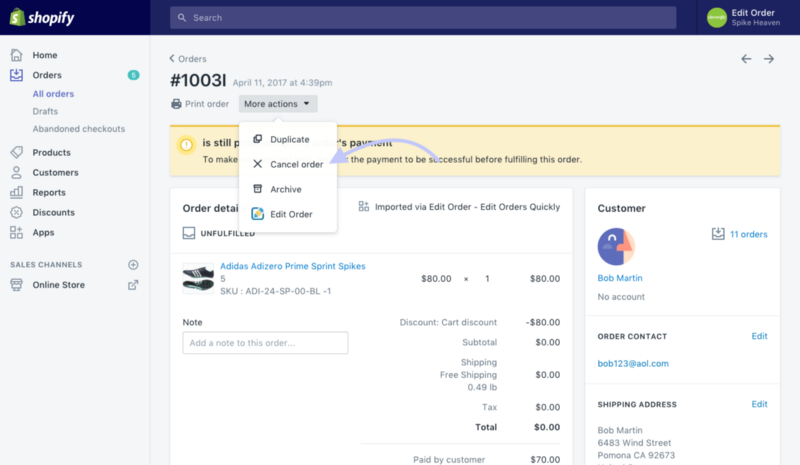 If the order in which you are attempting to return an item to inventory only contains that one item, you may perform the return by canceling the order within Shopify itself. If there are multiple items in the order that you wish to return to inventory, you will want to do so using Edit Order. Find the tutorial on how to return an item within a order with multiple items, and many more tutorials here.